Classes are open to anyone. All age, gender, experience or styles are welcome. Several benefits underlie the research of harmony through martial efficiency. Whether you are looking for some physical activity, a way to control yourself, a martial research or just a good time with friendly people, you are most welcome. One way or another, something positive will emerge from your contact with aikido. By increasing efficiency and self-confidence, harmony with the inner self and the outer world will grow. It is a good way to help children redirect their energy into something constructive. In Kishinkai Aikido we imagine ourselves in a situation where the opponent’s physical abilities are greater than ours. Practice will aim to gain a martial efficiency based on muscular relaxation, on modification of the use of the body and on intention reading (alongside other components). Classes will start in September. 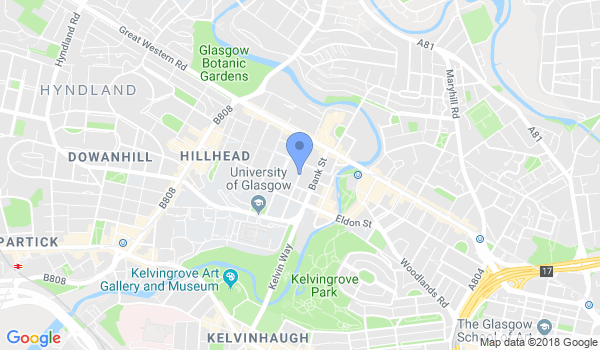 Would you like more information on hours, classes and programs available at Kishinkai Aikido UK - Glasgow? Please contact the school with your questions. Update the details, Write a Review or Report Error of Kishinkai Aikido UK - Glasgow.